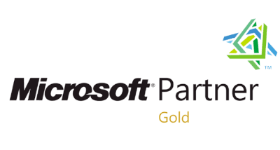 TORONTO, Feb. 11, 2019 – Dapasoft Inc., a leading provider of healthcare interoperability, clinical integration, and cloud application development solutions, announced the private preview of Corolar FHIR Server for Microsoft Teams. This solution brings EHR data into Teams using FHIR API enabling clinicians to collaborate and communicate on patient care. Studies show that acute care coordination focusing on communication between provider-handoffs is an important factor for successful patient outcome. As an extensible, compliant platform, Microsoft Teams provides a hub for collaboration that provides secure messaging, meetings, files sharing, and now the integration of electronic health records. Corolar FHIR Server for Teams is an HL7-FHIR compliant FHIR API integration solution. This solution brings clinical EHR data, in HL7 format, into Teams in FHIR format for efficient care coordination. Thus, our solution enables clinicians at adopting provider facilities to leverage the incredible collaborative capability of Teams while easily accessing clinical data from EHR systems like MEDITECH, Epic, Cerner, etc. using FHIR APIs. Our solution makes it easy for Health IT to support clinician requests for secure, private, and easy to use collaboration scenarios. 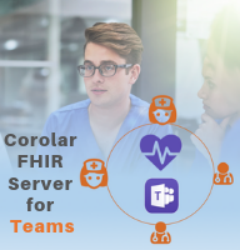 Corolar is a robust Microsoft Azure-based HL7/FHIR Server for Teams health team collaboration. Facilitates interoperability between HL7 compliant EHRs and FHIR compliant systems, like Teams. US and Canadian providers are invited into the private preview of Corolar HL7- FHIR Server.